Thank you for using our website, products and services (“Services”). These are provided by Lady Mila, address in the imprint. We offer a range of different services. For this reason, additional conditions or product requirements may apply (for example, a minimum age). Such additional terms will be provided in connection with the relevant Services and will become part of your relationship with us as soon as you use these services. Our services also contain content that is not from Lady Mila. This content is the sole responsibility of the person who makes it available. Lady Mila does not adopt this. We reserve the right to review content for illegality or violation of policies. We may remove or decline to display content if we reasonably believe that it violates our policies or applicable law. In connection with your use of our services, we may send you communications regarding your usage and use of the services. Some of our services are also available on mobile devices. Please do not use these services in a way that distracts you and prevents compliance with traffic regulations or safety regulations. Please treat your password confidentially to protect your Lady Mila account. You are responsible for the activities in and with your Lady Mila account. If possible, do not use the password of your Lady Mila account for offers from third parties. If you notice any unauthorized use of your password or your Lady Mila account, please notify us immediately at fraud@Lady-Mila.com. If you have a Lady Mila account, we will use our profile name and any profile picture to show activities that you perform in our services or in the services of third parties affiliated with your Lady Mila account (for example, twitter or youtube reviews and comments you post). Insofar as we have obtained your consent for this, this is also done in the context of advertising services. We also consider the messages and settings you have made in the Mila account for sharing and visibility in this respect. We respond to allegations of alleged copyright infringement and terminate the accounts of repeat infringers in accordance with the German Copyright Law (UrhG) and the Digital Millennium Copyright Act. We provide information that enables copyright owners to exercise their rights online. If you believe that your copyright is being infringed and you wish to notify us, please contact us at fraud@Lady-Mila.com. For some of our services, you can set content, e.g. Comments or ratings. You retain your rights as the author and all existing intellectual property rights in the content that you post in our services. In short, what’s yours is yours too. By posting copyrighted or otherwise proprietary content to our services, you grant Lady Mila and its affiliates and Lady Mila’s contract partners free of charge the necessary, nonexclusive, worldwide and indefinite rights, these contents solely for the purpose of providing the relevant service and only to the extent necessary to use. So that Lady Mila can offer the respective service, the contents must be stored, for example, and hosted on servers. The right of use therefore includes in particular the right to reproduce the contents technically. Furthermore, you grant Lady Mila the right to make your content publicly available only in the event that you intend to make it publicly available because of the nature of the service in question or if you have expressly determined that it should be made available to the public. The right of public access ends when you remove a content from a particular service or cancel the provision of public access. Certain services may be subject to additional conditions that provide for the granting of further rights. Be sure that if you upload content to our services, you may have the necessary rights to do so. If using a service requires or includes downloadable software, this software may be automatically updated on your computer as soon as a new version or feature becomes available. For some services, you can adjust the settings for the automatic update. We are constantly changing and optimizing our services. For example, we may add or remove features or features, or introduce additional or new restrictions on our services, taking into account their respective interests. Your information is yours and we believe it is important that you have access to it. If we stop a service, we will, if reasonably possible, inform you in advance and give you the opportunity and time to export your data from this service, taking into account the interests involved. We provide our services in an economically reasonable manner and hope that you enjoy their use. However, a lot is not part of our service. In the case of intent and gross negligence, including the legal representatives and vicarious agents, you and Lady Mila are liable according to the legal provisions. The same applies to culpably caused damage from injury to life, limb or health, to damage caused by the lack of a guaranteed quality, as well as to fraudulently concealed defects. In the case of property or pecuniary damage caused by you or Lady Mila, their legal representatives or vicarious agents, the liability is limited to cases of violation of a material contractual obligation, however limited in amount to the damage foreseeable at the conclusion of the contract and typical for the contract. Significant contractual obligations are those whose fulfillment enables the proper execution of a contract in the first place and on the compliance of which the contracting parties may regularly rely. Liability under the Product Liability Act remains unaffected. Incidentally, the liability of you and Lady Mila is excluded. (3) Only those users who have full legal capacity or act with the consent of their legal representatives are entitled to use. 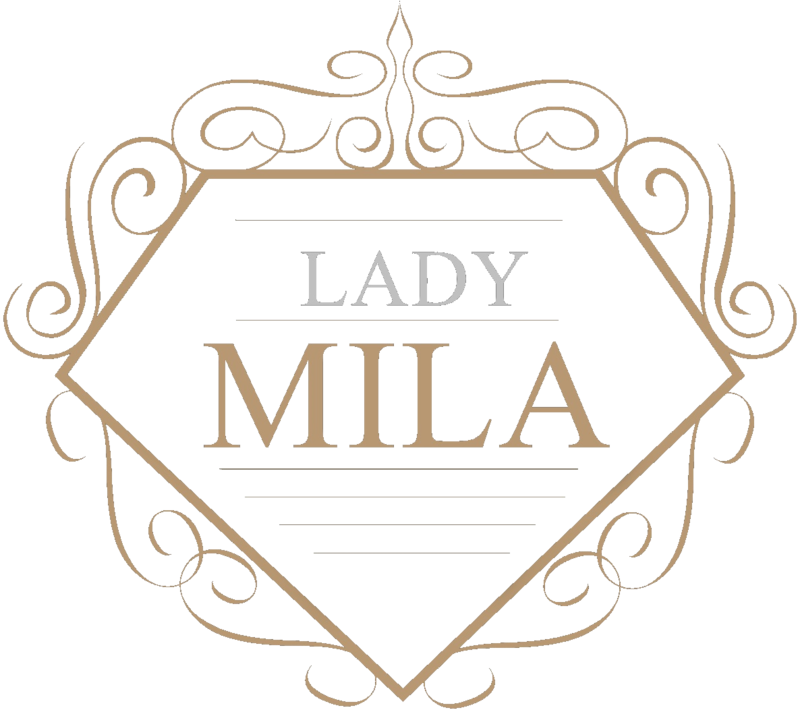 (1) Lady Mila gives the users the opportunity to upload their own content for publication on the servers of Lady Mila. The users have to complete the required registration and mandatory fields completely, truthfully and correctly. Only then is a successful registration possible. (2) By submitting their content, the users assure that they have the corresponding rights and that the publication of the content on and by Lady Mila does not infringe the rights of third parties. This means that, if there should be other authors or contributors to the content, their consent must be sought in advance by users. (3) The users who submit their content for publication, agree that the submitted content, in terms of time, space and content unlimited for any suitable purpose in whole or in part reproduced, distributed, reproduced publicly or the corresponding rights of use to third parties can be transmitted. This right also includes use in online and on-demand services of all kinds (in particular livestreaming, web channels, webcasting, simulcasting, podcasting) and the use of image and / or audio material for press and program advertisement purposes. (4) Users are not entitled to surrender, return or otherwise return the content they have sent. (5) The users undertake not to send to Lady Mila unlawful, grossly offensive, racist, inciting, xenophobic, right-wing extremist, pornographic or sexual, youth-endangering as well as criminally demanding, defamatory statement or other punishable contents. (6) Users are prohibited from transmitting commercial or otherwise promotional content to anyone other than their own advertising. This also includes advertising for party political, religious or other ideological convictions, in particular using symbols or signs of such views. (7) Users assure that the content sent in or uploaded by them is free from viruses, worms, Trojans or other programs, in particular the functionality of the homepage of Lady Mila or other users is not endangered or impaired by the content can. (9) Lady Mila is entitled to edit, reshape or otherwise modify the submitted content, in particular to adapt it to the format specifications required for use, or to improve the presentation quality and to use it in this modified form. (1) Lady Mila is liable only for damages that are based on intentional or grossly negligent breach of duty and for damages resulting from slightly negligent breaches of essential duties. In the latter case, the liability of Lady Mila is limited to the typically foreseeable damage. The above limitations of liability also apply to breaches of duty by the legal representatives or vicarious agents of Lady Mila. (2) Users are liable for all consequences and disadvantages that arise for Lady Mila as a result of the improper or unlawful use of the contents or the fact that the users do not fulfill their other essential contractual obligations.